Before dawn, the sound of the alarm clock and the cold wind fluttering throughout, has awakened me from the sleep. The ripple of excitement within to experience the unpredictable was strong. Before long I reached the meeting point. Looking at the dedicated volunteers helping the participants was great. With the transport provided by the organization the Participants and the Volunteers reached Shamirpet, Hyderabad. 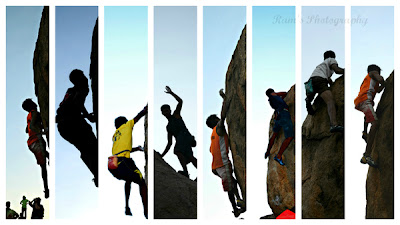 The Sun was rising up the horizon and the enthusiasm among volunteers to watch the first ever Hyderabad ROCK CLIMBING CHAMPIONSHIP 2012 was exhilarating. For some of the volunteers the day began with Photography, as the sky was tinted red, and it compelled the volunteers to capture the panorama. Soon the volunteers were briefed about their tasks for the day. They started putting up tents, arranging breakfast, carrying crash pads among others. A set of 15 route Judges were assigned the boulders for judging the climbers. They were briefed about the judgment criteria for the climbers. Breakfast was served and everyone there had their share of idlies and wadas. With great spirit, the participants across the nation had come to participate in the championship. The siren was blown and the participants started their move towards the boulders. A set of 15 boulders were finalized with diverse degree of difficulty for the climbers. At first, it seemed to be an act of impossibility for the new comers. But as the participants started climbing the rocks, it was fascinating to watch the sense of ease towards the rocks. The zeal and love for such an indifferent sport made everyone’s blood run cold. Passion, Zeal, thrill, excitement, anxiety were not the words. All that was seen there was love and fascination for the rock that hooked the participants to the rocks. 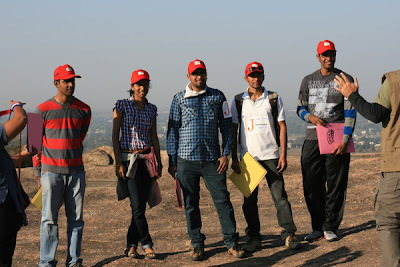 50 passionate climbers across the nation participated. 12 belonged to Hyderabad and rest were from Delhi, Bengaluru, Pune and Kolkatta among others. It more or less seemed like they were super humans and had their innate talent and techniques on the rocks. The first round began at 8 am and ended by noon. The lunch time arrived and this gave an opportunity to talk to people from different parts of the nation. A special tadkedaar Hyderabaadi Biryani was served to everyone. 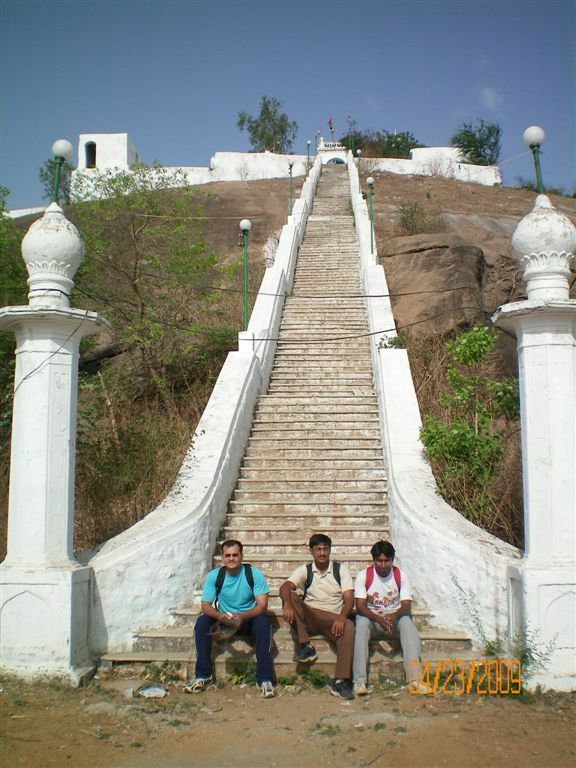 After eating one of the delicacies of Hyderabad, everyone proceeded towards the bouldering terrain. The winners of juniors girls and boys and senior women were announced. There were 6 remarkable finalists in the senior men category. The task was to complete four boulders with less number of attempts. The duration for the completion of each rock was 4 minutes. The difficulty level was very high and the finalists were not allowed to see other finalist’s climbing. As the final round began, the audience was over flown with enthusiasm and went yelling, blowing, whistling, and clapping to encourage the finalists. The encouragement was of a different level as we could hear people cheer in different languages. Soon the winner was declared and with a heavy heart we had to say good bye to everyone. 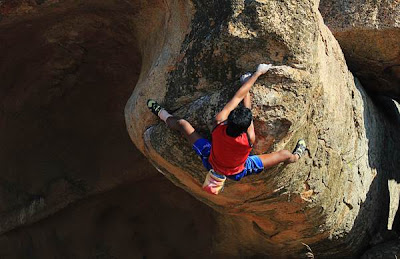 This spectacular event served as an inspiration as most of us wouldn’t even had known the definition of Rock Climbing. May Hyderabad experience more such amazing events and produce the best climbers from the city. HCC - A Great Success. Hyderabad Climbing Championship held on 23rd Dec at Shamirpet was a huge success with very good feedback received both from the climbers and the officials. I congratulate Ranga Vutukuru, Co-Organiser, GHAC for taking the lead in hosting the competition and all the efforts put in to successfully conduct it. I thank all the Team Leads and the volunteers of GHAC for owning up their allotted tasks and completing them to perfection. I thank all the officials of the Indian Mountaineering Foundation for providing the necessary support and encouragenment. At the competition I had met the best of climbers and the IMF officials and the result is renewed vigor, energy and a clear sense of direction on how to proceed further. 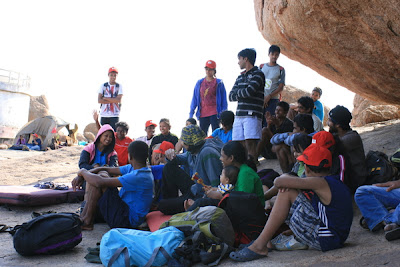 Despite the various efforts from many quarters, Climbing is still in a very nascent stage in Hyderabad and this years competition has opened many opportunities and avenues for climbers in Hyderabad and is a result of the persistent effort and hard-work put in by Ranga and other climbers to promote the sport since past few years. 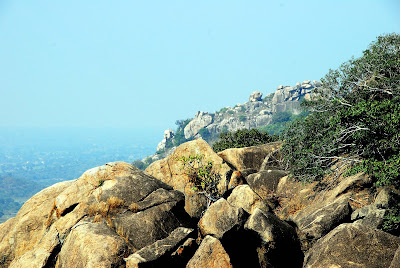 Hyderabad has the best granite boulders and I can envision the city to soon turn out as climbing destination of preference apart from Hampi and Badami. To achieve this we need more local climbing infra support and local climbers practicing and taking part in various local and national climbing competitions all round the year. GHAC Hyderabad Climbers at http://climb.ghac.in is dedicated to the cause of promoting the culture of climbing and creating climbers to achieve a vision of making Hyderabad a climbing destination for everyone. At GHAC the outdoor activities are always finding ways to involve everyone from the twin cities of Hyderabad and Secunderabad to participate. From families to kids, youngsters and working professionals and not to forget the young at heart – we have something for everyone. The outdoor activities are meant to engage, educate and entertain all ages of different fitness levels. Today, as we reached a major milestone of reaching 10,000 member mark on GHAC meetup. I am happy and excited with this landmark achievement and it's so much fun to look back at the journey that created GHAC. 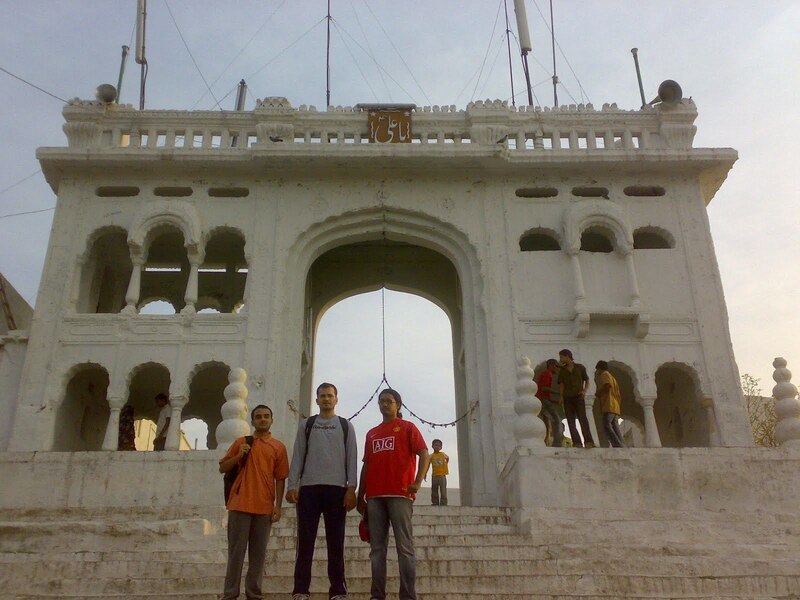 It was on the 27th May 2008 when I decided to put the idea of an adventure club online on meetup.com to find friends to accompany me to Annapurna Base Camp, Nepal in June 2008. 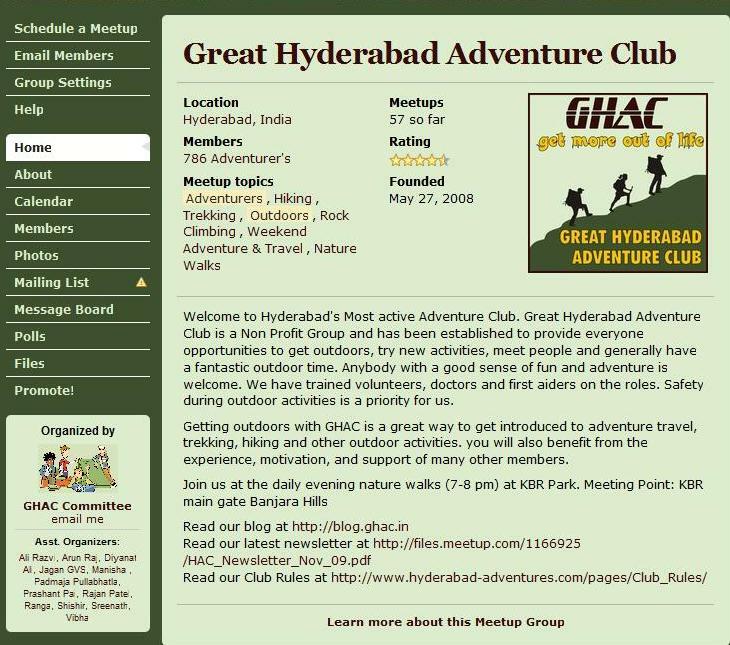 Putting up GHAC on meetup was just not enough as it involved a lot of selling and pursuing to get people join it and I had spent quite a time promoting it online and in person and among my friends. It took almost one year of promotion, and then we had the first online 100 members. Then, I decided to do another trip to Everest Base Camp in June 2009. To prepare our fitness for the EBC we started doing many local events and the first one was to Ananthagiri hills Vikarabad. Then we did couple of more local events at various places in the city including Maulali, Ammuguda, Durgam Cheruvu, Shamirpet, Bhongir Fort, Narsapur Forest and more members started joining us. Once the committee was formed, we met regularly to discuss and brainstorm on taking the club to the next level. We also continued hosting more events including doing more outstation events. As I write about the wonderful journey, I feel nostalgic and I am very sure some of you who were there with me from the start will feel the same. After the first two years, the membership doubled every year and it won't be long before we reach out to over 1,00,000 members soon and fulfill our vision to make Hyderabad the most active city of the world. GHAC is a beautiful idea that has changed my life and the lives of many others who believed in the idea and supported it all along. I had the tremendous support from my family and friends without which I would not have spent time and energy with GHAC. 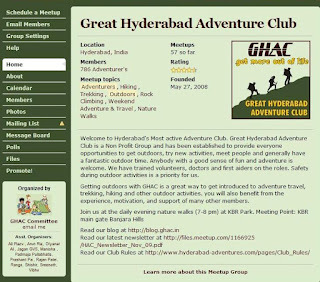 It makes me happy to hear from many members that they choose to move to work in Hyderabad because GHAC was there for the weekends. GHAC has definitely raised the quality of life and made Hyderabad a better place to live in. On this occasion of reaching 10,000 members I congratulate all the GHAC Leaders who are the ones responsible for the club growth and the members who believed and supported us along. It's time now to reach out to other cities and do the GHAC Magic there as well and rest of India. I am working on starting an India wide adventure organization "Great India Adventure Club - GIAC" which will have different chapters in various cities all over India. Passionate people who want to be part of GIAC and want to start an adventure club in their city can contact me. The dawn was flooded with laziness. Here begins the conflict between body that insisted to sleep more and passion that craved for adventure. This made me reach the MGBS (Meeting Point) at 6 AM. 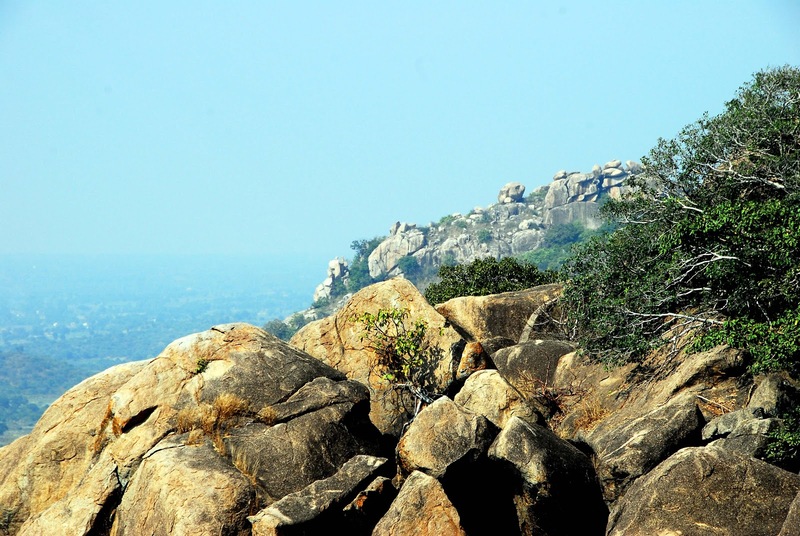 With a group of 7, we boarded the bus towards AshwaraoPalli, the magnificent location for scrambling situated near Warangal district of Andhra Pradesh. 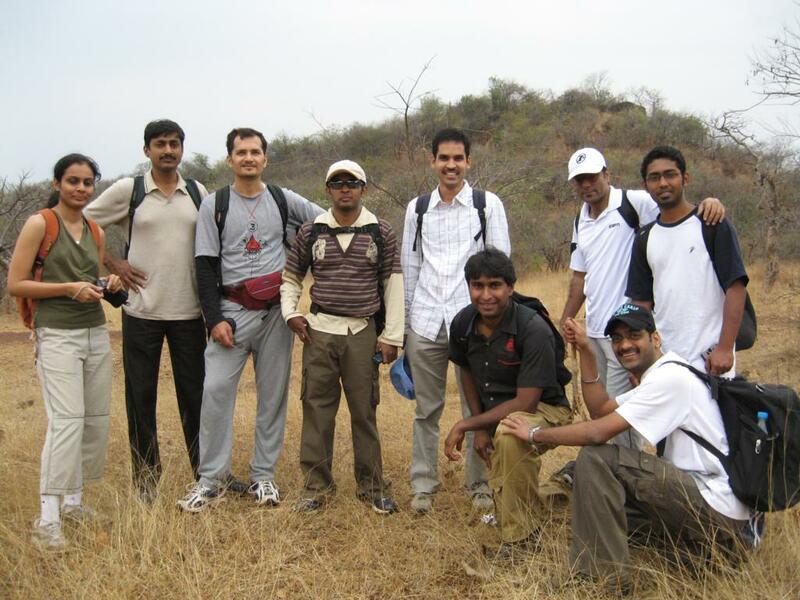 All the trek mates were charged up and excited to experience another adventure with fun. There were 2 first timers who were mentally rehearsed to encounter any kind of thrill. The others were proficient and were set to explore the uniqueness of the location. Before long we reached Ashwaraopalli. A lady living in a hut served us hot tea. She insisted that we buy food in order to earn some extra money. With the instructions of the ‘Boss’ (Organizer), we already packed our lunch at the meeting point. We began the exploration by moving towards the hill. As we proceeded, we could see a snake crossing the road, which made most of us run towards it, but to our disappointment it disappeared out of our sight. After walking a kilometer, we had a warm up session as our organizer mentally prepared us to face the wild. 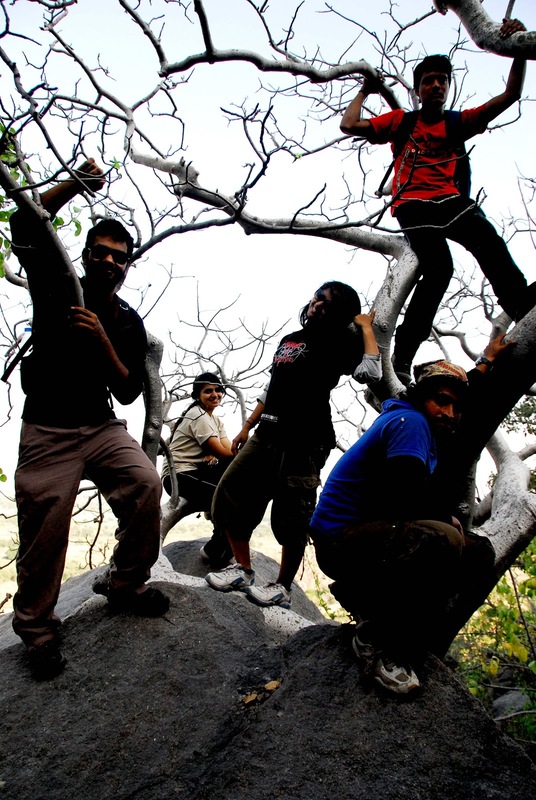 Soon we started climbing the hill through erratic passages encountering the rare trees, insects and rocks. We progressed towards the Rocky terrain and began scrambling. After a non-stop half an hour walk, we had to boulder a patch that looked scary at first instance, but with the encouraging companions around, it was a cake walk. To everyone’s surprise, this journey soon turned into a foodie’s trek. A trek mate got a watermelon to start with. All of us fetched our stomach with what we thought was the best Watermelon in the whole world. Photographers began clicking the pictures and then we moved towards a patch where we could see langoors clinging to the trees. This scared us as we were carrying bags with plenty of food. There we began ascending again and this time it was crossing the steeps. Getting down the steep was alarming as there was a thin line between life and injury. Soon we reached a rock above the cave. All we could see there were bats flying around. The Bats seemed aggressive as an eagle was hunting for a bat. We were petrified by the scenario as it was a complete Bat circuit with a dingy smell circumventing the caves. One of the trek mates got excited to click the image of the scenic view but soon, the hue & cry inside the caves made us move to some other patch. Coming back to the previous patch, we explored a cave inside the rock and started some Chimney techniques to climb up and down. While others were enjoying the food, the organizer and some over enthusiastic trekkers started exploring the cave and trying different ways to come out of it. Post this exciting activity, we had our lunch that included Fruits, Dilkush, and Dilpasand among other delicacies. Out of the blue, the organizer decided to make the trek more challenging and made us do some back breaking scrambling that took the life out of us. Another adventure was experiencing the blasting quarry. We were all prepared to experience the manmade disaster by hiding ourselves from the quarry employees. Finally we had to cross a terrifying steep and proceed towards a blooming photo session with proficient photographers around. Before long it was time to board bus and we said 'au revoir to the group. a large and very active volunteer based adventure club. 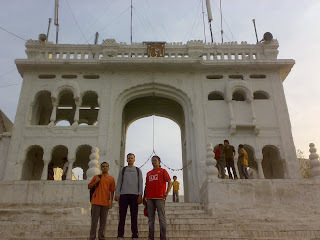 made the life interesting and Hyderabad, a happening Place. events, which is not possible under a volunteer organisation as GHAC. the purchase of equipment and cover the operational costs of GHAC. reflect is what makes the learning's second to none. is the most effective way to develop leaders. keep the team from falling into the chasm of chaos and disaster. control and constantly offers problems to solve. 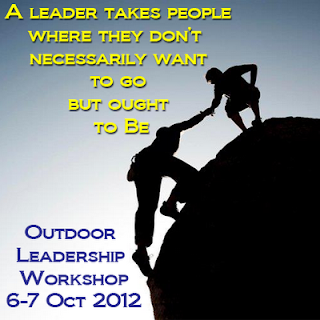 separate session on outdoor leadership for their teams. Leaders are made and not born. Discover the leader in you and learn what all it takes to become a leader to manage and lead teams in the outdoors safely. The workshop focuses on teaching leadership through experiential learning. Dhruva College of Management. Medchal.